Natalie Doonan's work, entitled Llorando/Crying, attempts the impossible, heartrending feat of closing the chasm between you and I, through Rebekah del Rio's rendition of Roy Orbison's 1961 ballad. Performed with Guadalupe Martinez, this video piece features vocals that fill the gallery space and play on a loop. 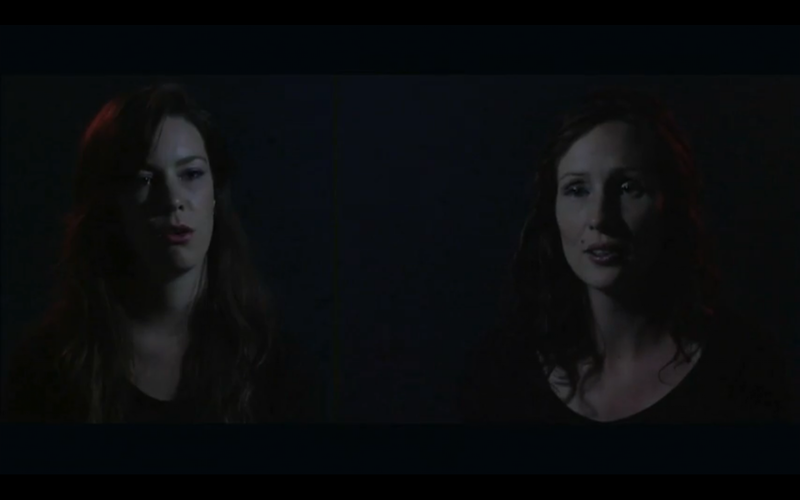 Adapted from a live performance, each singer is projected on opposing walls so that viewers confronting the piece stand between the performers, who face each other. The two singers perform the song in rounds, following the same cadence, rhythm, and dynamics, though always out of time with one another. Each voice emanates from speakers on one half of the room. The strong emotive impact of the performance hinges not only on the personal narrative of unfulfilled expectations, but on the persistent desire to communicate, which can only ever fall short.